Sandra (Manley) Dymsza CONCORD, Mass. 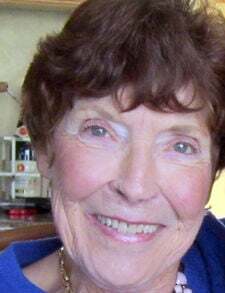 — Sandra A. Dymsza, a longtime resident of Concord, passed away peacefully surrounded by her family on March 13, 2019, at the age of 82. The daughter of Walter and Ruth (St. Mary) Manley, Sandra grew up in Rutland, VT, attended St. Peter School and Mount St. Joseph Academy, graduating in 1954. During her formative years, she enjoyed varsity cheerleading, participating in the marching band and spending time with lifelong special friends Jean (Foster) Hellig and Claire Reardon. She graduated in 1957 from the St. Luke’s Hospital Nursing Program in Pittsfield, with a RN degree. During her career, she worked at a number of hospitals, including Beth Israel Hospital in Brookline, Rutland Hospital and Porter Hospital in Middlebury, VT. It was during her time in Boston that she met Chester A. "Chet" Dymsza whom she married in 1959. He was a BC graduate and an officer in the U.S. Army. Military assignments and Chet’s career took them to Oklahoma, Germany, NYC, Arlington, VA, Vergennes, and finally back to Boston where they settled in the Concord/Littleton area to raise their three daughters. Sandra was preceded in death by her father, mother, and husband Chet, but leaves behind three daughters and their loving husbands, eight grandchildren and one great-grandchild. She is also survived by her three brothers Richard Manley (Colorado), Wayne Manley (Oklahoma) and Ronnie Manley (Florida), all of whom had special time with her shortly before her death. Sandra was known to be a strong, determined and caring woman who cherished family. This was instilled in her by her upbringing and her career path in life. She was supportive of her children and grandchildren and loved attending each of their sporting competitions, activities and major life milestones. Sandra enjoyed current events and spending time with lifelong friends from Concord and the Thoreau Club. On March 19, 2019, a celebration of life was held in Concord at the Holy Name Parish with burial in St. Bernard’s Cemetery, next to her loving husband who died in 2016.